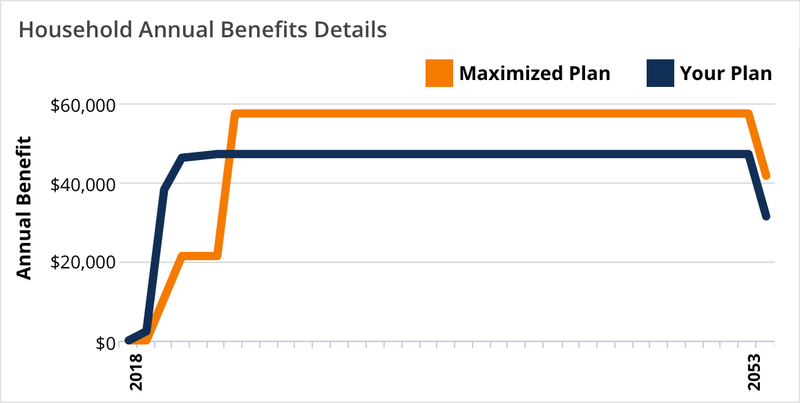 Our advanced software finds the best strategy to increase lifetime Social Security benefits. Accurate and comprehensive, our software handles difficult calculations that other calculators don't. Deciding which benefits to take and when is among the most important decisions households make. 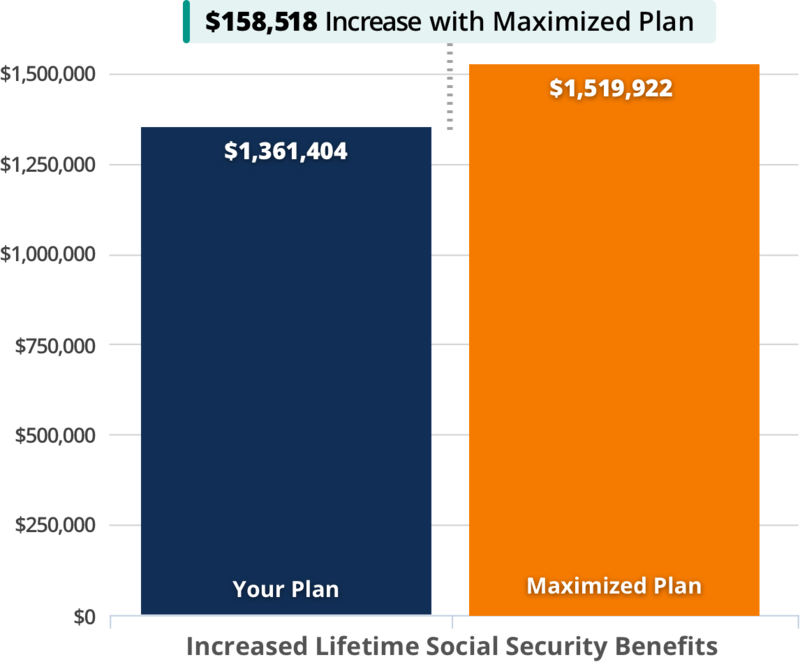 Making the right decisions can increase your Social Security benefits by tens to hundreds of thousands of dollars. Making these decisions on your own is virtually impossible. Why? Because Social Security is incredibly complex. 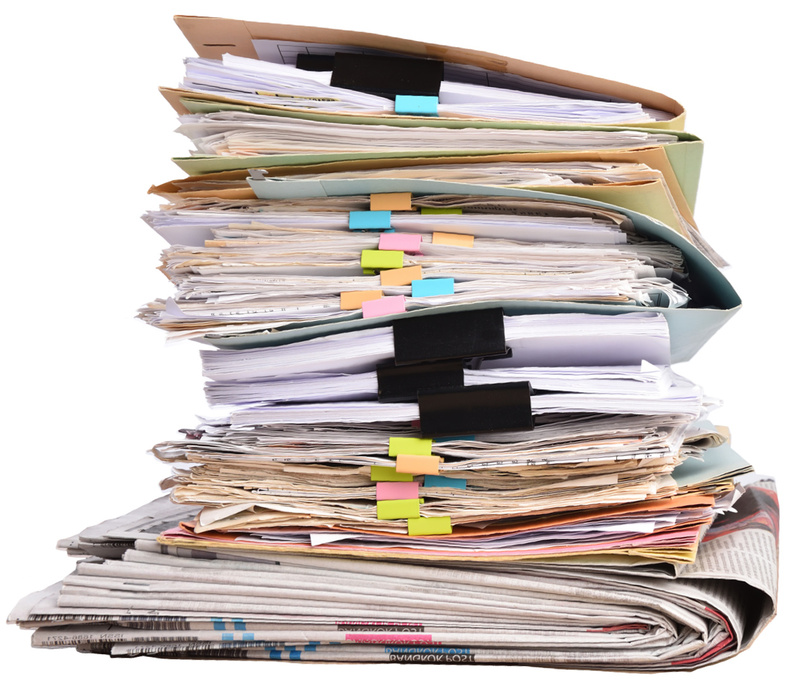 Social Security benefits are calculated based on thousands of rules and even more complicated rules about those rules. 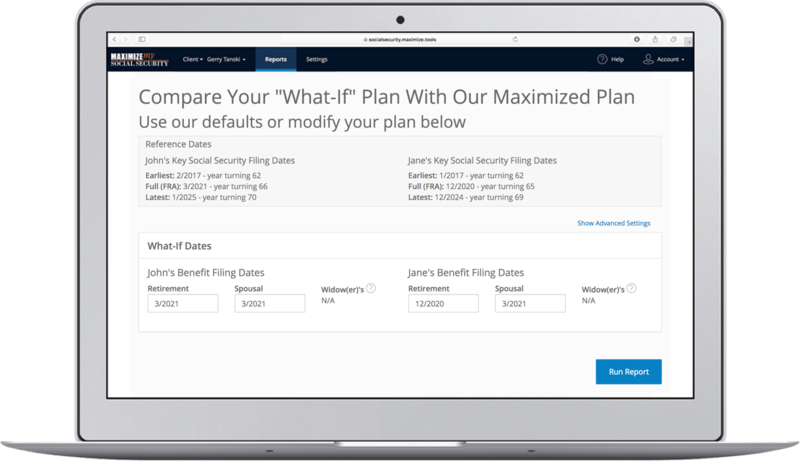 Our software's expert algorithms find your highest Social Security lifetime benefits. Clear Instructions. Shows how and when to file. Easy to Use. Try unlimited What-if scenarios.